NO PURCHASE NECESSARY TO ENTER OR WIN A PRIZE. A PURCHASE WILL NOT INCREASE YOUR CHANCES OF WINNING. VOID OUTSIDE THE STATE OF LOUISIANA AND WHERE PROHIBITED OR RESTRICTED BY LAW. IF YOU ARE UNDER THE AGE OF MAJORITY IN THE STATE OF LOUISIANA, YOU MUST HAVE YOUR PARENT OR LEGAL GUARDIAN’S PERMISSION PRIOR TO ENTERING. MANY WILL ENTER, ONE WILL WIN. Entry Period: The “PAW Patrol Live! Louisiana Sweepstakes” (the “Sweepstakes”) entry period shall commence at 9:00:01 a.m. Eastern Time (“ET”) on September 4, 2018 and shall end at 11:59:59 p.m. ET on September 7, 2018 (the “Sweepstakes Period”). Sponsor’s computer is the official time-keeping device for this Sweepstakes. All entries must be received by 11:59:59 p.m. ET on September 7, 2018. The odds of winning depend on the total number of Eligible Entries (hereinafter defined) received during the Sweepstakes Period. Eligibility: The Sweepstakes is open to individuals who are: (i) a legal resident of the state of Louisiana; and, (ii) eighteen (18) years of age or older at the time of entry (each an “Entrant”, collectively, the “Entrants”). Entrants must have an Instagram account in order to enter (Note: Membership on Instagram is free, and registration can be obtained by logging on to http://www.instagram.com [“Instagram Web Site”] and following the onscreen instructions to open an account). Employees and their immediate families (i.e., parents, spouse, children, siblings, grandparents, step parents, step children and step siblings) of Viacom Media Networks, a division of Viacom International Inc. (“Sponsor”), Instagram, Inc. (“Instagram”), all prize providers and each of their respective affiliated parents, companies, sponsors, subsidiaries, advertising agencies and third party fulfillment agencies (collectively, the “Sweepstakes Entities”) are not eligible to enter this Sweepstakes. By participating in this Sweepstakes, Entrants: (a) agree to be bound by these Official Rules and by the interpretations of these Official Rules by the Sponsor, and by the decisions of the Sponsor, which are final in all matters relating to this Sweepstakes; (b) release and hold harmless Sweepstakes Entities and their respective agents, employees, officers, directors, successors and assigns, against any and all claims, injury or damage arising out of or relating to participation in this Sweepstakes and/or use or misuse or redemption of the Grand Prize; and (c) acknowledge compliance with these Official Rules. 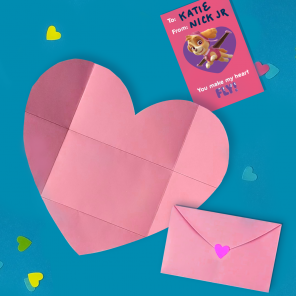 To Enter: During the Sweepstakes Period, go to http://www.instagram.com/NickJr from your Instagram account, follow the Nick Jr. account (@NickJr) and respond in the comment section of the initial post announcing the Sweepstakes with the following designated hashtag #PAWLiveSweepstakes. BY SUBMITTING A POST IN THE COMMENT SECTION OF THE INITIAL @NICKJR POST WITH THE ACCOMPANYING HASHTAG #PAWLIVESWEEPSTAKES DURING THE SWEEPSTAKES PERIOD, YOU AGREE TO THESE OFFICIAL RULES. You are required to follow the Nick Jr. Instagram account (located at http://www.instagram.com/NickJr) so you can see the Grand Prize winner announcement to see if you’ve won (pending verification), in addition to the winner notification described in Section 5 below. Please note that if you do not respond to the Grand Prize winner’s notification described in Section 5, you will be disqualified and another Grand Prize winner (as applicable) may be selected. 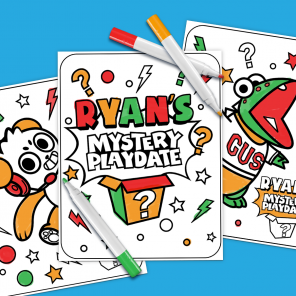 You must submit a response in the comment section of the initial Nick Jr. post which includes the designated hashtag #PAWLiveSweepstakes during the Sweepstakes Period on Instagram in order to obtain one (1) entry into the Sweepstakes. Limit of one (1) entry per person/Instagram account/household per calendar day of the Sweepstakes Period. You must submit your own entry. Automated posts or posts sent via a bot will be disqualified. All entries submitted in accordance with these Official Rules shall be hereinafter referred to as “Eligible Entries”. In the event of a dispute over who submitted a winning online entry, the authorized subscriber of the Instagram account, as applicable, used to participate in the Sweepstakes at the actual time of entry will be deemed to be the entrant. The authorized account subscriber is defined as the natural person who is assigned an Instagram account by Instagram. Potential winners may be required to show proof of being the authorized account holder to the Sponsor or forfeit the prize. Multiple Entrants are not permitted to share the same Instagram account. All entries become the property of Sponsor and will not be acknowledged or returned. All entries must comply with the applicable platforms’ Terms of Service and rules available at the Instagram Web Site. Any attempt to obtain entries in excess of the limit on entries as set forth in these Official Rules, including by using or creating multiple Instagram accounts; by using multiple and/or different identities, forms, or registrations; or by any other methods, will void all of the relevant participant’s entries, and that participant may be disqualified at Sponsor’s discretion. Important note: If your Instagram account is set to “protected mode,” your updates/responses may not be visible in Sponsor’s @NickJr inbox and may not thus be received by Sponsor unless you previously consented to permit Sponsor to see the Instagram updates. Normal Internet access, phone, and usage charges imposed by your online or phone service may apply. If you opt to use Instagram via your wireless mobile device (which may only be available via participating wireless carriers and is not required to enter the Sweepstakes), standard text messaging and/or data rates may apply for each message sent or received from your handset according to the terms and conditions of your service agreement with your wireless carrier. Other charges may apply (such as normal airtime and carrier charges) and may appear on your mobile phone bill or be deducted from your prepaid account balance. Wireless carriers’ rate plans may vary, and you should contact your wireless carrier for more information on messaging rate plans and charges relating to your participation in this Sweepstakes. Participation in this Sweepstakes by mobile device means that you understand that you may receive additional messages by mobile device relating to this Sweepstakes, including notifying you if you are a Grand Prize winner, which may be subject to charges pursuant to your carrier’s rate plan. Text messaging may not be available from all mobile phone service carriers and handset models. Mobile device service may not be available in all areas. Check your phone’s capabilities for specific instructions. Grand Prize Winner Selection/Notification: One (1) Grand Prize winner (the “Winner”) will be randomly selected on or around September 10, 2018 by Sponsor from the Eligible Entries received during the Sweepstakes Period. Sponsor will make one (1) attempt within five (5) business days of Sweepstakes drawing to contact the potential Winner. If the potential Winner does not respond within two (2) days of being contacted, such potential Winner will be disqualified and an alternate potential Winner will be selected through a random drawing from among the remaining Eligible Entries received. This process will be repeated until a potential Winner responds, if time permits. Prize Winners, Verification: The potential Winner must prove eligibility, including, without limitation, proof of age and residence, within forty-eight (48) hours of being notified as a potential Winner. In the event of non-compliance by the potential Winner, the potential Winner shall be disqualified and all privileges otherwise due as a Winner shall be terminated and an alternative potential Winner may be chosen through a random drawing from among all of the remaining Eligible Entries received during the Sweepstakes Period, if time permits, in Sponsor’s sole discretion. Winner must sign within forty-eight (48) hours of receipt of the following documents from Sponsor: (a) an affidavit of eligibility and release of Sweepstakes Entities and its respective officers, directors, employees, agents and members (“Releasees”), from any and all liability, loss, claims, demands, and causes of action for personal injury and/or damage, theft, loss, or any other harm suffered in connection with this Sweepstakes or the use/misuse or acceptance of a Grand Prize (as both terms are hereinafter defined), as applicable, or any portion thereof to be eligible for a Grand Prize; (b) except where prohibited by law, a publicity release granting Sweepstakes Entities the right to use the Winner’s name, Instagram username and likeness for advertising and publicity purposes without additional compensation; and, (c) any other documentation required by Sponsor, including a W9 form and Winner’s social security number for tax purposes (collectively, the “Releases”). Entry into this Sweepstakes constitutes agreement to sign such Releases. The Winner also must acknowledge that Sponsor has not and will not obtain or provide insurance of any kind relating to the Grand Prize and that Winner (or Winner’s Parent must sign if such Winner is not the age of majority in the jurisdiction in which he/she resides) will be responsible for obtaining and paying for any life, travel, accident, property or other form of insurance relating to the Grand Prize, if applicable. The Winner must also complete any additional legal documents provided by Sponsor (or third party on its behalf, if applicable) with respect to the Grand Prize and return them as instructed within the time frame specified by Sponsor or the Winner may forfeit the Grand Prize at Sponsor’s sole discretion. Failure to return all such documents and comply with the aforementioned deadline, noncompliance with these Official Rules or the return of any Grand Prize or prize notification will result in disqualification and selection of an alternate Winner. All decisions of the Sponsor relating to the Sweepstakes are final. Sponsor expressly reserves the right to delay the announcement of the Winner for creative or technical reasons or for any other reason Sponsor deems necessary. Grand Prize: One (1) grand prize (the “Grand Prize”) is available to be awarded in this Sweepstakes. The Grand Prize shall consist of a “PAW Patrol Live! V.I.P. Party Pass” prize pack composed of the following items: (i) four (4) premium seat tickets to the “PAW Patrol Live!” show (the “Event”) closest to the Winner’s residence in Louisiana (current listing of all applicable Event dates and locations can be found below, subject to change) for Winner and up to three (3) guests (each a “Guest”, collectively the “Guests”); (ii) a two hundred dollar ($200.00) MasterCard gift card to fund Winner’s and Guests’ travel expenses to the Event (subject to the terms and restrictions of the gift card issuer). Winner and Guests are solely responsible for arranging their own transportation to/from their residences and the Event; (iii) exclusive access to the PAW Patrol party after the Event; and, (iv) meet/greet and photo opportunity with two (2) Event cast members (subject to disability, default or force majeure). Total Approximate Retail Value (“ARV”) of the Prize is $472.00. 8. General Prize Terms: Winner must be available to attend the Event at the venue city on the dates listed above; in the event he/she is unable to attend, Winner shall forfeit the Grand Prize and another potential Winner shall be selected from the remaining Eligible Entries, time permitting. Sweepstakes Entities are not responsible for any mechanical difficulties or failure connected with the Grand Prize, or any act or omission whatsoever. No transfer, substitution, or cash equivalent for a Grand Prize is allowed except at Sponsor’s sole discretion. Sponsor reserves the right in its sole and absolute discretion, to substitute a Grand Prize or Grand Prize component with a prize of equal or greater value if a Grand Prize component cannot be awarded as described for any reason. The Grand Prize is non-transferable and may not be given, bartered, substituted, sold, or exchanged for cash or another prize. Unused components of a Grand Prize have no redeemable cash value. Any difference between the ARV and the actual value, if any, of the Grand Prize will not be awarded. In the event that a potential Winner chooses not to accept his/her prize, or is unable to be notified, an alternate potential Winner will be randomly selected from all of the remaining eligible entries received during the applicable Sweepstakes Period, if time permits. 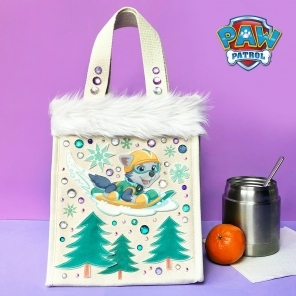 Request for Names of Prize Winner and Official Rules: For the name of the Winner and/or Official Rules, send a self-addressed stamped envelope by November 10, 2018 to: “PAW Patrol Live! Louisiana Sweepstakes” c/o Nickelodeon, 1515 Broadway, Space #42-63A, New York, NY 10036. Please note on the front left-hand corner of your outer envelope whether you are requesting “Official Rules” or the names of the “Winners”.